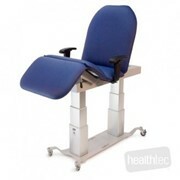 20 cm range of hydraulic height adjustment. 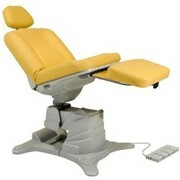 Synchronous adjustment of the lying surface (manual). 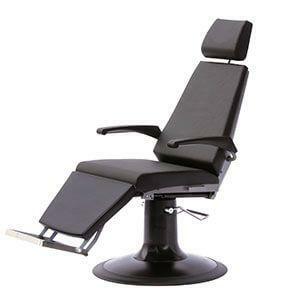 Upper part can be turned by 360° and can be fixed in every position. 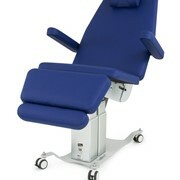 Armrests can be turned away. 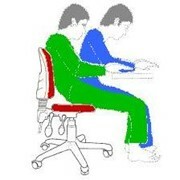 Synchronous moving legrest, fixed legrest or without legrest. 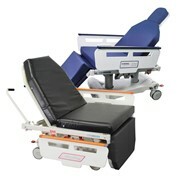 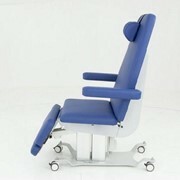 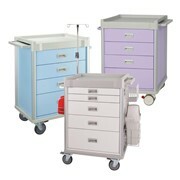 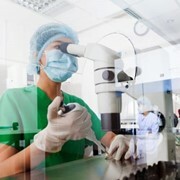 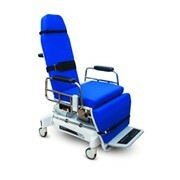 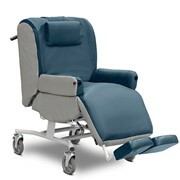 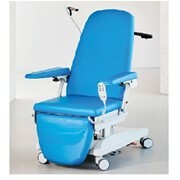 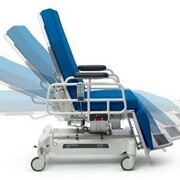 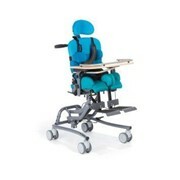 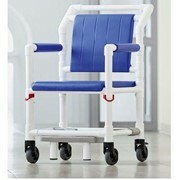 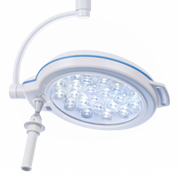 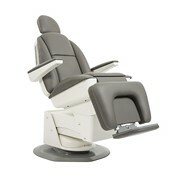 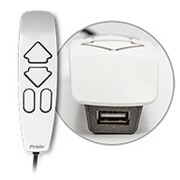 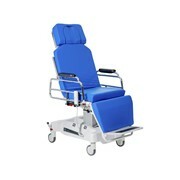 Optionally with swivable seat cushion available (patient can be turned by 90° to the left or right side).